INSPIRATIONAL MONDAY. .....STEPPING OUT OF YOUR COMFORT ZONE - Onome Talk Am! At one point or the other, we have all been in a situation when we feel so relaxed in a particular point or place, there is no motivation to want to try out other options to see what the world holds, instead we stay stucked in such place and refuse to take the shove and push that life dishes to us. At this point, we have become so comfortable in the place and position that we are, we might have even unknowingly and subconsciously convinced ourselves that it can never ever get better than this. This may be as a result of our thoughts on the place we are being the best option or because we compare ourselves with the next person and console ourselves with the thought that I better pass Mr.B. 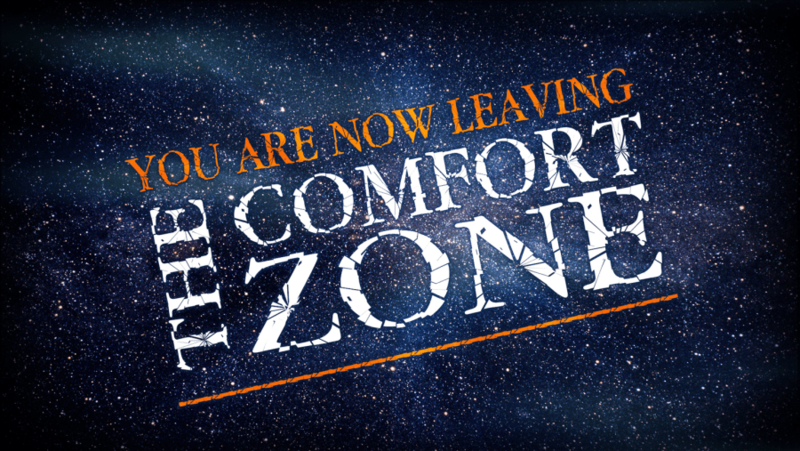 We fail to understand the fact that being in our comfort zone never gives us a chance to become better.You need to take yourself outside of that comfortable place you think you are, though I know that one is not guaranteed of a better prospect on the other side,it is worth giving a shot. There will always be lessons to learn even if one doesn’t get a better deal elsewhere. It’s a crime to be stuck in one place for too long, challenge your intellectual. It’s never a crime to try out new things,it gives us a better view at striving for success. Life itself is a risk,even the air we breathe is a bit of a risk considering the fact that it could have been contaminated with industrial fumes and other human activities such as burning and gas flaring,does these stop us from breathing in this same”contaminated” air? No,because we need it to survive and as such the benefits outweighs the potential health danger it poses. Therefore,I want you to take stepping out of your comfort zone as serious as the air you cannot do without,let it be your drive. Remember that there’s never a crime in trying,step out of that comfort zone that you have comfortably put yourself and try out something new and refreshing,it could just lead you to your breakthroughs that you have always wanted. Take that plunge now and watch yourself succeed. God bless you greatly. “it gives us a better view at striving for success”, you are right dear, our comfort zone often beclouds us of of what life is like on the outside of it.